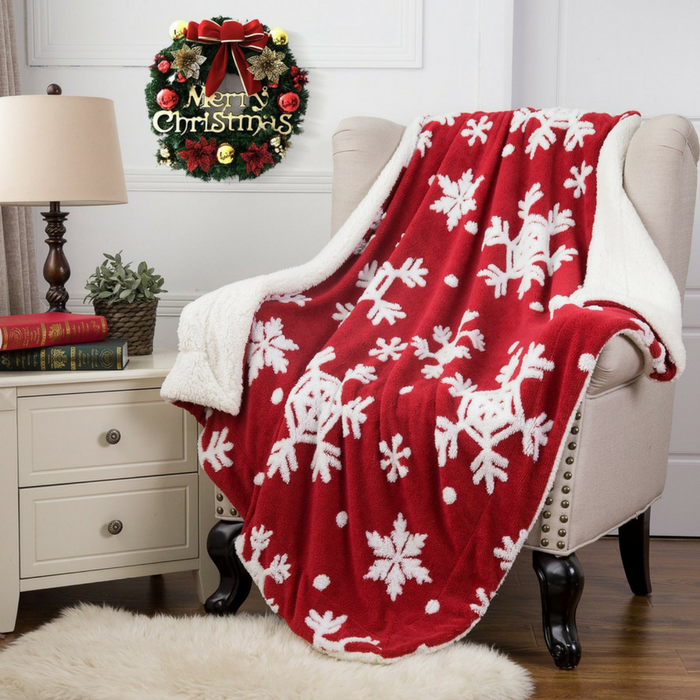 Christmas Throw Blanket Just $29.99! Down From $60! PLUS FREE Shipping! You are here: Home / Great Deals / Amazon Deals / Christmas Throw Blanket Just $29.99! Down From $60! PLUS FREE Shipping! This is lovely! Amazon has this Christmas Throw Blanket on sale for just $29.99 down from $59.99 PLUS FREE shipping! This throw blanket is accented with stylish jacquard pattern of snowflake which is perfect for brightening any room over the Christmas festive period. It’s made with top quality microfiber, super soft and durable! This must be so nice! Love it! Size dimension: Available in 50″x60″ and 60″x80¡±. Made of 100% microfiber polyester, this Shu Velveteen blanket is super soft, durable, and lightweight. It’s wrinkle and fade resistant, doesn’t shed. The front is accented with stylish jacquard pattern of snowflake in different shapes are perfect for brightening any room over the Christmas festive period. And the plush Sherpa reverse offer you optimal comfort and warmth. The face and reverse are bound together with decorative knit-trim edging for a luxurious look and feel. EASY CARE: Machine wash cold, tumble dry on low heat. Avoid direct heat. Use only non-chlorine bleach. Do not iron.